Mental health in north Wales has been described as a "Cinderella service" and senior management heavily criticised. 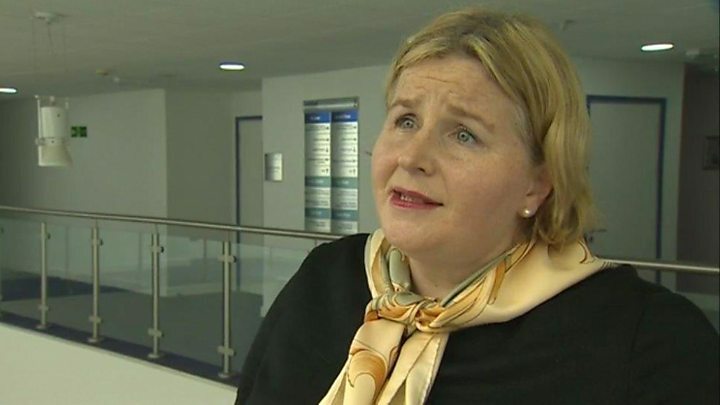 Leadership has been "wholly inappropriate and significantly flawed" since Betsi Cadwaladr health board was created in 2009, says an independent review led by Donna Ockenden. Mental health was "chronically understaffed," relying on staff goodwill. The health board said accelerating the pace of progress was a "top priority". The review was sparked by problems found at Tawel Fan. 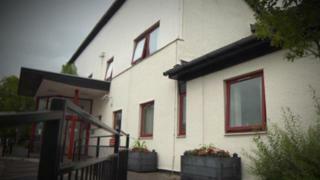 The 17-bed elderly psychiatric ward on the Glan Clwyd Hospital site closed in 2013 but a wide-ranging inquiry, which was published in May, rejected claims of abuse. This latest report into wider issues across the whole health board has taken nearly three years. Staffing remains an area of considerable challenge and is "impacting significantly" on quality of care for patients, their families and on staff morale. Its bosses had been alerted to serious issues over many years but some of the problems remained and even where progress has been made, it has been "far too slow". This has resulted in significant and deeply concerning consequences for patients, carers and staff. Media captionDonna Ockenden said the time for 'action plan upon action plan' has gone. Despite mental health services in north Wales being under the spotlight for several years, one of the most striking things about this new report is about how many problems remain. Donna Ockenden is damning, stating that Betsi Cadwaldr health board was a flawed organisation since its inception, which has had worrying consequences for patients and staff. Some of the most worrying issues are still with us, particularly in the care of vulnerable elderly patients: Chronic shortages of staff, lack of joined up care, out-of-date policies, managers being out of touch, flawed complaints processes and not enough measures to make sure patients are safe. Where progress has been made, she says it has simply been "too slow". Three years ago this summer, partly due to similar concerns, the Welsh Government put Betsi Cadwaladr in "special measures". This means it has been under the highest level scrutiny and control by officials and ministers. There will be questions today about what the Welsh Government has actually achieved during that period. There will also be questions about the reorganisation of the Welsh NHS in 2009. Was the decision to establish a single huge health board to cover all of north Wales wrong in hindsight? Was it simply just too big to succeed? Analysis: What is in Hascas's Tawel Fan inquiry? Q&A: What have the Tawel Fan inquiries been about? A combination of a lack of board oversight, coupled with stringent financial restrictions, meant mental health and specifically older peoples mental health "became a Cinderella service". Having 11 clinical programme groups which were independent, disparate and "often fragmented" had a negative effect on the delivery of care to older people from 2009 onwards. Patients and carers reported delays, distress and loss of dignity when seeking medical and urgent care. It has "very serious concerns" regarding the management of the mental health workforce, with "vacancy control" imposed even for essential posts in the early days. The service was left chronically understaffed at a time when patient numbers and acuity was increasing. The position is described by staff as "worse now" and them "constantly fire-fighting". It found many examples of both out of date policies and a lack of sufficient access to IT equipment. The gap between the "ward and the board" is still described by many front-line staff as a "chasm". Most staff were unaware of the names of senior managers. There was "significant evidence" that governance and resources underpinning safeguarding of patients was "sub-optimal" from 2009 until at least late 2016 and a very significant amount of work still needs to be done. The process for dealing with concerns and complaints has been in a "state of almost continual failure" since the health board was set up and there has also been a lack of an effective and sustained response to numerous external reviews and inspections. A long-term failure to ensure fit-for-purpose estates and equipment up to the end of 2017 - from poor quality buildings to overgrown gardens. A continuing lack of sustainable service development and a lack of clinical strategy, six years after a consultation on changing healthcare in north Wales. Little evidence of an effective system, structure or process in place to provide consistent assessment, support and advice to carers. The independent report published in May had already revealed chaotic and poor governance in how Betsi Cadwaladr health board delivered mental health care. Months before Tawel Fan was closed in December 2013 amid claims of a "scandal", the health board - Wales' largest - was already in turmoil. Its chairman and chief executive both quit amid financial problems and "significant management failings". Despite changes at the top, two other reviews found the problems continued, particularly in mental health. The health board was put in special measures by the Welsh Government three years ago, with mental health one of its main areas to improve. Betsi Cadwaladr commissioned this latest report in the aftermath. Presenting her report, Ms Ockenden - who spoke to 200 staff and patient representatives - said the evidence was "not frozen in the summer of last year" but current up to the present day. One staff member had told her: "Everybody and nobody was in charge." Clinical staff were still telling her that senior health board leaders "do not understand the pressure" of being on the front line. In the run-up to the Tawel Fan closure, she said there had been a "toxic mix" of lack of board direction, and governance processes took several years to even reasonably progress. Ms Ockenden said there had been a "perfect storm" and urged her recommendations to be met within the time frames. Board chairman Peter Higson welcomed the report but said they needed time to respond in full. Chief executive Gary Doherty said there was a need to "increase the scale and pace of improvement". In a statement they added that many current challenges stemmed from historic issues "which will not be overcome in a matter of weeks". "There is much work to do to embed improvements across the whole organisation and we are committed to shifting cultures to embrace change for the good of the population we serve," they said. Ann Jones, whose husband was a patient on Tawel Fan, said it finally provided clarification about who was accountable for the "dreadful failings" but she was still not convinced improvements would happen. "My fear is that they will be diluted and lost," she said. "Previous action plans, to my understanding, have not been implemented thoroughly and diligently." Jan Tomlinson, chair of Unison Cymru Wales' health committee said, it had been a distressing process for families, patients and staff. "It is our job now, as with Betsi Cadwaladr to implement the recommendations," she said. "The overwhelming view of Betsi healthcare workers is their determination to get on with caring in a kind and professional manner." Plaid Cymru AM Llyr Gruffydd said the health board had been left "dysfunctional and tainted" after ignoring issues which had been flagged up by staff repeatedly. He added: "It will take time to digest the full report, but it's already clear that such a damning report must raise questions over whether or how Betsi Cadwaladr should remain as it is." Health Secretary Vaughan Gething said he had made his expectations "crystal clear" to the board. "It must focus its attention on the acceleration and implementation of improvement," he added. Q&A: What are the Tawel Fan inquiries about?